As we look once more towards the coming of spring fashions, a single, timeless classic is sure to enter our minds: florals. What else could say “spring” better than flowers, right? 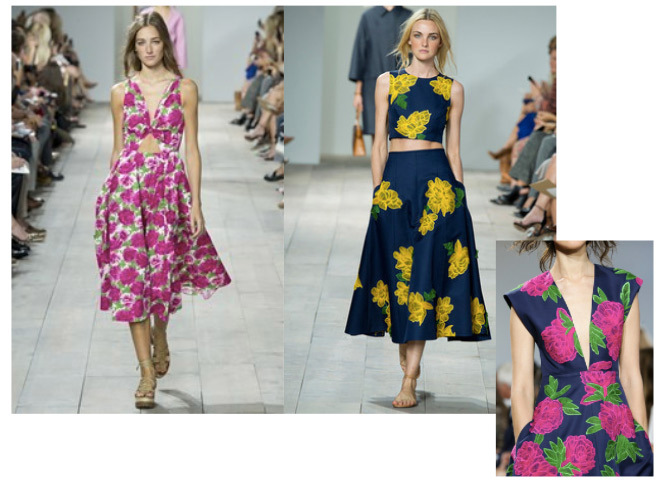 The floral print in various forms is a mainstay at spring fashion shows, and they always look bold and trendy on the catwalk. However, it can be intimidating to wear floral prints as they can make your wardrobe look tacky and outdated. So, how do we handle fearsome florals? 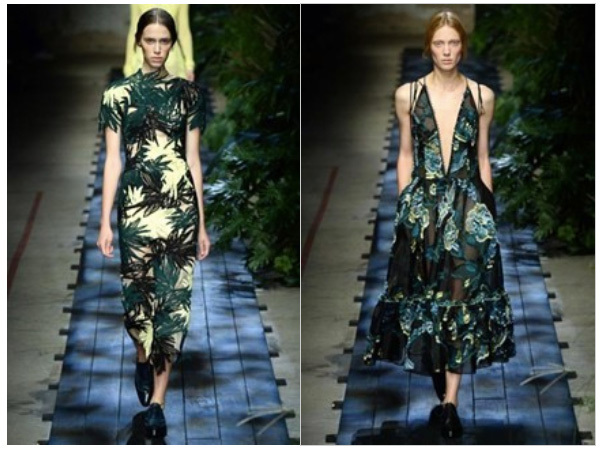 First of all, it would do well to keep in mind that tropical-inspired floral prints are going to be hot for 2015. While 2014 saw more feminine and delicate blooms, an edgier and more exotic look is coming next year. The following designs from Erdem, who won this year’s British Fashion Award for Women’s Wear Designer of the Year, show a darker, more mysterious spring look. This does not mean, of course, that delicate and feminine are out. 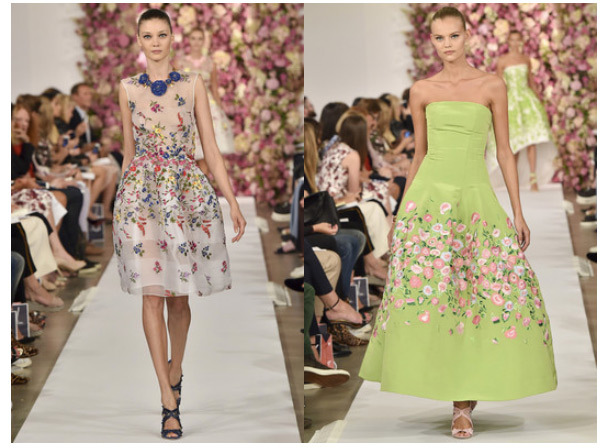 In fact, Oscar de la Renta’s Spring 2015 collection showed that sweet and gentle are still very much in fashion- albeit in a more structured form. 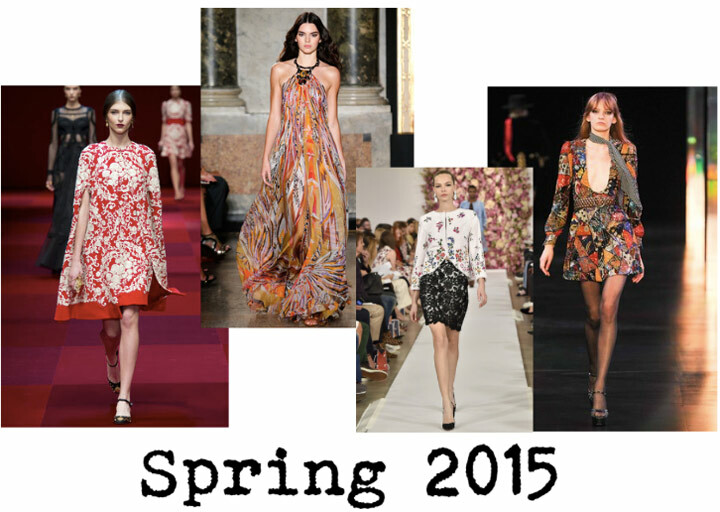 So, does this mean you should throw out your 2014 flowy and flirty spring frocks? Well, it seems that the 70’s and Boho-chic is actually making quite a comeback this season. This means that those flowy floral dresses, along with your paisley prints and bell bottoms, are completely on trend. As you can see below, nothing says 70’s bohemian like Emilio Pucci’s Spring 2015 collection. Lastly, while 2014 was the year of small and delicate blooms, next year will be all about the big flowers...and I mean, big! Michael Kors’ collection was simply delightful with oversized flowers that are sure to brighten up next year’s spring. 1. Keep an eye out for the trends above. 3. Keep a consistent color story with your florals. If you keep these steps in mind, you can definitely rock a floral outfit this spring.